Tickets for the Kellogg Summer Ball are now on sale! Tickets include entertainment, food and drinks all evening. 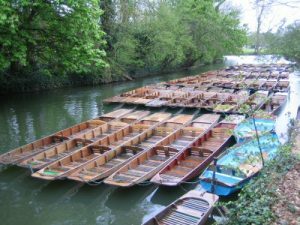 The Punting Season has started! The MCR is busy putting together an exciting term card for you. Highlights include a trip to Compton Verney, the last tour of the Houses of Parliament with Bynum Tudor Fellow Lord Bilimoria, BBQs, and bluebell walks. Our regular yoga classes (Mondays 7-8:30) resume on 16 April and Welfare Tea and Cake on 25 April. Academic Writing Group continues through the break Tuesdays, Thursday, Fridays and Sundays 2-5pm from 10 April.